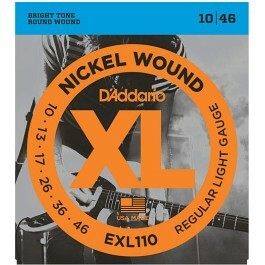 The D'addario EXL110BT are Balanced Tension electric guitar strings. 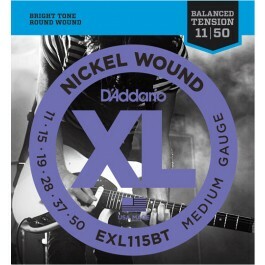 Nickel round wound, they have been optimised to have a consistant tension across the fretboard. 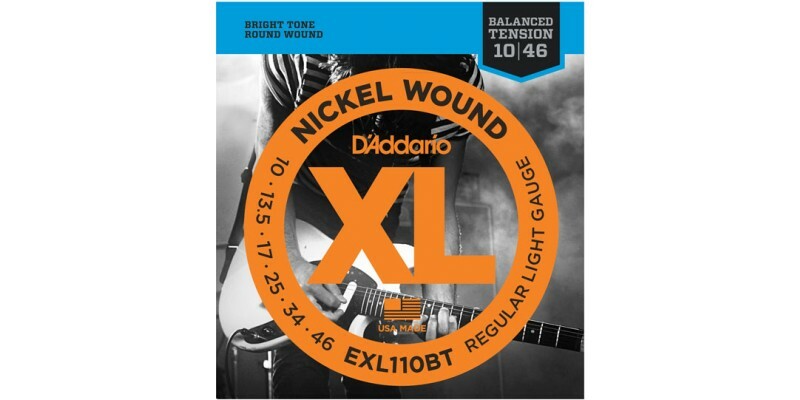 The D'addario EXL110BT electric guitar stings are perfect for Les Paul scale length instruments and Strat players looking for something a little heavier. 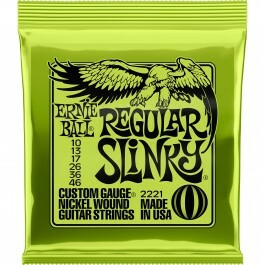 Mathematically calculated they offer an increased control over a regular set. 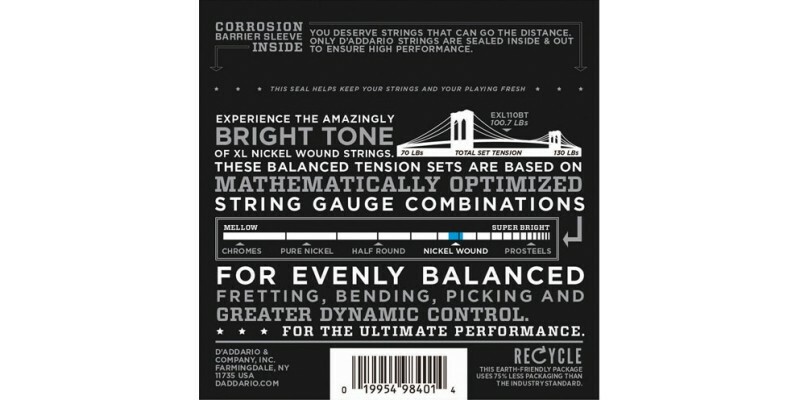 This balanced tension set have been manufactured in the USA. 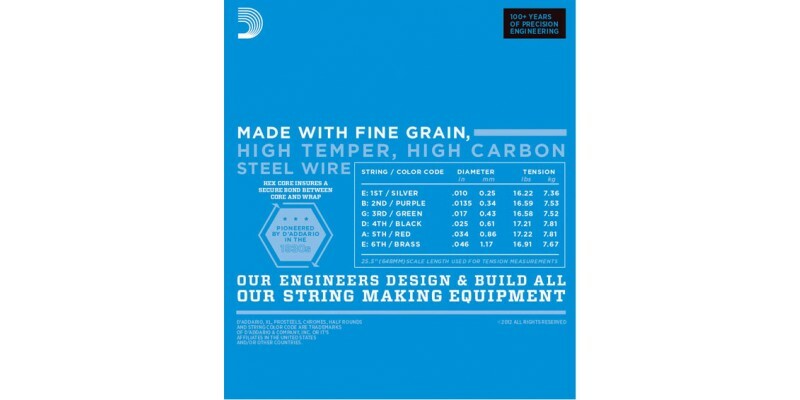 They have been created using nickel steel round wound onto a carbon steel, hexagonal core.